We are really into Christmas and literally change the decorations in pretty much every part of our home for Christmas. We have about five Christmas trees of different sizes around the house. We even take down artwork and put up Christmas decorations instead. I’d probably change out pieces of furniture too if Mathlete wouldn’t give me a hard time about it! 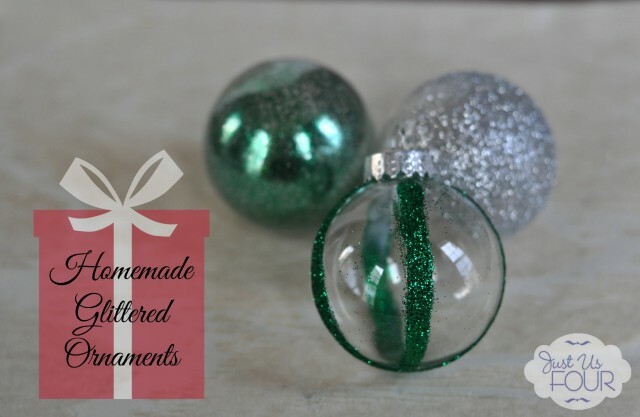 This year, I decided to add a little Christmas sparkle to our paper mache tree and made some super easy glitter Christmas ornaments to hang on it.